Lynda Lou (Hedbom) Peterson was born in Duluth, Minnesota on March 27, 1937 to Eric and Esther (Landgren) Hedbom. She grew up in Grand Rapids, MN and graduated from High School there in 1955. She received a scholarship at Gustavus Adolphus and graduated with a BA in Social Work in 1959. While in college she met the love of her life, John Peterson. They would have been married 60 years on June 21. They moved to Rock Island, Illinois where John attended Augustana Lutheran Seminary. They served in Michigan, Texas, Minneapolis, Cokato and finally Dassel, MN. Lynda worked as a social worker for the Chicago Police Department, Lester Prairie and Silver Lake Schools and St. Mary’s Care Center Winsted. Lynda was a very effective minister’s wife, helping John serve in The Church. 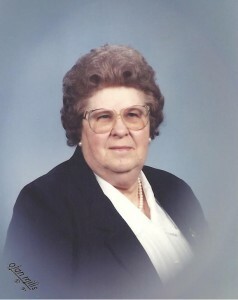 She was a church organist, choir and bell choir director and led many bible studies. Next to her Lord and Savior Jesus, family was the most important to Lynda. Her grandchildren were indeed a priority. She will be remembered for special trips up North, theater outings, numerous boat rides and the list goes on of many fun happenings. No matter the weather, she showed up as a cheerleader for the grandkids at sporting events and performances. Holidays and birthdays were always top notch. Lynda passed away at Abbott Northwestern on April 1, 2019, five days after her 82nd birthday. Survivors include; husband Reverend John of Dassel, son Jerome (Kathy) Peterson of Minneapolis, daughters; Juli (Matt Wanat) Peterson of Wauwatosa, WI; and Joy (Gary) Marschel of Buffalo, grandchildren; Zandra Floeder, Zachary Floeder, Oscar Floeder, Brianna (Austin Brown) Marschel, Christian Marschel, Charlie Peterson and Angelyn Peterson. She will be missed my many loved ones, special friends and her dog Muffy. Lynda was preceded in death by her parents Eric and Esther Hedbomb and Uncle Oscar Landgren. Funeral 4PM Friday April 5, 2019, Gethsemane Lutheran Church, 221 Atlantic Ave. E. Dassel, MN. 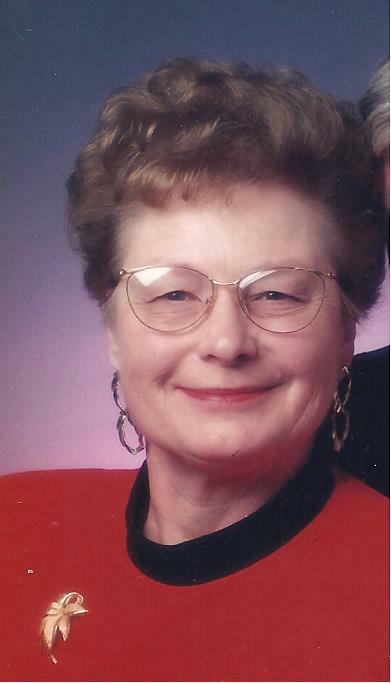 Pamela Carryl Kadlec, passed away at the Howard Lake Good Samaritan Center on March 30, 2019. Memorial Service: 11 AM. Friday, April 5, 2019 at St. Paul Evangelical Lutheran Church. 124 Maple Street North, Lester Prairie, Minnesota. Age 83, long time resident of Greenfield, MN went home to the Lord on Tuesday, March 26, 2019. She was born and raised in Howard Lake, MN. Elaine was a long time employee of the Hoover Company. She enjoyed hunting, fishing and snowmobiling with her husband and brothers. She also enjoyed travel, visits to the casino and knitting. Elaine was preceded in death by her husband, Earl, parents, Henry and Hilda Greenhagen, brothers, Alfred, Arnold, Vernon, Roland, Duane, Donald, Howard, and sisters, Dorothy and Gladys. Survived by her sister, Vernice Bersie of Minnetonka, and sister-in-law, Ann Greenhagen of Buffalo, 35 nieces and nephews, cousins, neighbors, and friends. 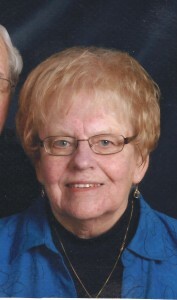 age 78, of Cokato, passed away on March 12, 2019. She was born on March 28, 1940 in Redwood Falls, MN where her father was working on road construction. Her parents Keith and Margaret Hafften however soon settled on a farm in Buffalo, MN. Jeanette graduated from Buffalo High School in 1958 and worked in the Oakley National “round” Bank in Buffalo until 1963. On November 18, 1961 she married Donald Holm of Cokato and became a farm wife. (The straw bales in the back seat of the honeymoon car were foretelling.). She was a member of Evangelical Lutheran Church for over 40 years and the American Legion Auxiliary for over 30 years. When asked late in life about her life accomplishments Jeanette quickly responded “I had a good husband, and I raised four children”. She was devoted mother who took time to help each of her children get a good start on life. Jeanette’s 1958 Buffalo High School Yearbook described her with two words: “sweet personality”. Those who knew her know this is true. Jeanette touched many during her life, all of whom are better for knowing her. She is survived by her children, Mark (Susie), Bradley (Beth), Julie (John Newstrom) and Karen (Lance Vargason), and grandchildren, Cassidy (Kyle Johnson) and Derek (Ashley) Holm, Samantha and Jack Newstrom, and Taylor and Carli Vargason, brother Ken Hafften (Eileen), niece Emily (Paul Reilly) and nephew Nick. Happily she is most recently descended by great granddaughter Lucy Johnson (born 3.14.19). Jeanette was preceded in death by her husband Donald and parents. age 98, of Howard Lake passed away on March 2, 2019 at the Howard Lake Good Samaritan Care Center. She was born June 8, 1920 in Montrose, MN to Edward and Mabel (Dalbec) Splettstoeszer. Ethel married Walter Mahlstedt on August 9, 1941 at Bethlehem Evangelical in Maple Lake, MN. Together they enjoyed 52 years of marriage, residing in Cokato, south of Cokato on the farm and in 1961, moved to Howard Lake. She worked at Tonka Toys for over 25 years and has been a member of St. James Lutheran Church in Howard Lake since 1961. Ethel enjoyed quilting, embroidery, word finds, and spending time with her family. Preceded in death by her parents, husband, Walter, son, Wayne Mahlstedt, brothers, Norman and Stan Splettstoeszer, sisters, Donna Schmaedeka and Eleanor Krueger. She is survived by her children, Barbara (Lowell) Mikkelson, Larry (Vivian) Mahlstedt, Sandy Mahlstedt, and Kevin Mahlstedt, grandchildren, Kimberly Sipprell, Shannon (Mike) Cox, Kristy (John) Cardinal, Evan (Kristin) Mahlstedt, Brianne (Matt) Nowak, Brent (Amanda) Mahlstedt, and Melissa Mahlstedt, great-grandchildren, Alex Sipprell, Cameron Sipprell, Danica Cox, Ryan Cardinal, Lauren Cardinal, Lennie Nowak, Hailey Hoskins, and Devin Hoskins, a sister, Beverly Lange, along with many other family and friends.